2019 Colloquium: "Calvin and the OLD Testament"
In his dedicatory epistle to Henry, Duke of Vendome, for his commentaries on the five books of Moses (1563), Calvin emphasized the continuity between early modern Christians and the people of the Old Testament, stating that they claimed the same inheritance. Regardless of the distance between them, they could therefore, “in the mutual agreement of faith and patience, endure the same conflict” (Commentaries on the Book of Genesis, lii). This statement raises questions about how Calvin and his contemporaries related to the Old Testament, interpreted these texts, and viewed themselves in light of the Old Testament stories. The Calvin Studies Society invites participants to explore Calvin’s view of the Old Testament in the upcoming Colloquium in the spring of 2019. The colloquium is designed to promote theological and historical engagement with the thought, life, and times of John Calvin, the broader developments of the Protestant Reformation, and Reformed Traditions in particular. A downloadable, a full-color copy of the Colloquium poster for your department, organization, or church can be downloaded HERE. The Calvin Studies Society especially welcomes graduate students and young scholars to the Colloquium. Current (ABD) and recent doctoral students are invited to submit paper abstracts for a graduate student panel to be held at the next Calvin Studies Colloquium, 11-13 April 2019 at Trinity Christian College (click HERE to download a printable CFP). The topic of the Colloquium is “Calvin and the Old Testament,” and graduate student papers will be featured on Friday afternoon. If you are interested in participating as a graduate student, please submit the form HERE. Registration: Apologies, but registration is now closed. (A) Go to the Holiday Inn Crestwood website >> click on the "Book Now" button >> enter dates and put the 3 letter Group Code (TRI) in the Group Code Box >> click on "Check Availability" >> select a room. (B) Call the hotel directly at 708-597-3330 and give them the 3 letter Group Code (TRI). *Colloquium rooms are held until 24 March 2019. Check-in at 4:00pm; check-out at 12:00pm noon. You can enjoy lunches and dinners at Trinity’s Dining Hall (lunch is $6, dinner is $9, paid in cash at the door). Alternately you may eat at Trinity’s Cafe (The Boetsma Bookstore–Cafe, affectionately called the BBC) where you can buy sandwiches, soups, salads, wraps, etc. The BBC accepts cash and credit cards. There are also many good restaurants nearby within a 5-10 minute drive. The Colloquium meetings will occur in the Ozinga Chapel Building (click HERE for a downloadable map). HERE is a Google map to Trinity Christian College's campus. There will be a scheduled shuttle service from the hotel to Trinity Christian College in the morning and a return trip in the evening (more details will be available at the Colloquium). G. Sujin Pak is Associate Professor of the History of Christianity at Duke Divinity School. She specializes in the history of Christianity in late medieval and early modern Europe, and her research focuses on the history of biblical interpretation during the Reformation era and the role of biblical exegesis in the history of Christian-Jewish relations. She has published numerous book chapters and articles; her most recent book will be released soon from Oxford University Press and is titled The Reformation of Prophecy: Early Modern Interpretations of the Prophet and Old Testament Prophecy (2018). Thomas J. Davis is Professor of Religious Studies and Dean of the School of Liberal Arts at Indiana University-Purdue University Indianapolis. He is the author of The Devil Likes to Sing (Cascade Books, 2014), This Is My Body: The Presence of Christ in Reformation Thought (Baker Academic, 2008), and has also served as editor for John Calvin's American Legacy (Oxford UP, 2010). J. Todd Billings is the Gordon H. Girod Research Professor of Reformed Theology at Western Theological Seminary in Holland, MI. He is the author of many articles and five books, including Calvin, Participation, and the Gift: The Activity of Believers in Union With Christ (Oxford, 2007) and Union with Christ: Reframing Theology and Ministry for the Church (Baker Academic, 2011); his most recent work is Remembrance, Communion, and Hope: Rediscovering the Gospel at the Lord’s Table (Eerdmans, 2018). Scott Manetsch is Professor of Church History at Trinity Evangelical Divinity School. His articles on pastoral theology and practice in the age of the Reformation have appeared in edited volumes as well as in such journals as Church History, Westminster Theological Journal, and Bibliothèque d’Humanisme et Renaissance. His most recent monograph is Calvin’s Company of Pastors: Pastoral Care and the Emerging Reformed Church, 1536-1609 (Oxford, 2012). Paul C.H. Lim is Associate Professor of the History of Christianity Vanderbilt University's Divinity School, and he also teaches in other departments, namely, History, Religious Studies, and Asian Studies. He specializes in Reformation- and post-Reformation Europe, as well as the history of evangelicalism and global Christianities. His latest book is Mystery Unveiled: The Crisis of the Trinity in Early Modern England (Oxford, 2012). He has published two other books in that area: The Cambridge Companion to Puritanism (Cambridge, 2008); and In Pursuit of Purity, Unity, and Liberty: Richard Baxter’s Puritan Ecclesiology in Context (Brill, 2004). Michael Vander Weele is Professor of English at Trinity Christian College. His interests lie in the place of religion and literature in public life and the role of liturgy in shaping the life of the church and its members in all aspects of life. He has published many articles and book chapters, the most recent of which are “The Human Effort to Exchange Stories and Uwem Akpan’s Child Narrators” (Religion & Literature 47:3, fall 2016) and “Are You Alone Wise?” (Books and Culture, November 2013). 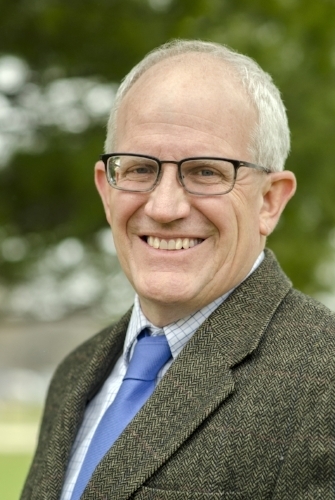 Jeff Fisher is Associate Professor of Theological Studies and Interim Academic Dean at Kuyper College in Grand Rapids, MI. He is also an ordained minister of the Christian Reformed Church in North America and the author of A Christoscopic Reading of Scripture: Johannes Oecolampadius on Hebrews (V&R, 2016) and multiple contributions in journals and books related to the Reformation and early modern history.